I had the privilege of participating in the Grand Marikina Tour last October 24, which was organized in time for the Sapatos Festival. Along with notable media people and Marikina bloggers, we were taken around the city by the wonderful Public Information Office team (special mention to Charlie and Ela), and the very bubbly Mr. Brian Tenorio. After our short briefing, we proceeded to our first Shoe Factory in Marikina: Bristol Shoes. I've been to the city several times since 2014, as I've been managing a small shoe venture as well. Not that I'm looking to transfer suppliers, but I never really had the chance to explore its neighboring businesses. So it was a nice opportunity to get acquainted with other shoemakers who were also into manufacturing and distribution. 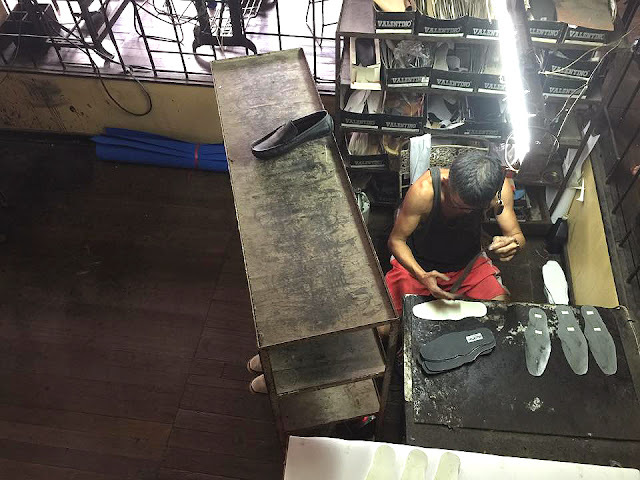 Bristol Shoes are handcrafted by the best in Marikina since 1982. A brand that values excellence, Bristol also possesses an unwavering commitment to quality and workmanship. Their quality footwear ranges from classic and contemporary dress to corporate casuals. Furthermore, the company only employs top handicrafting expertise, and only uses specially selected materials. Bristol Shoes are available in Market Market, SM Department stores, Robinsons Department Store, The Landmark and Trinoma, Sta. Lucia Department Store, Marikina Shoe Gallery Riverbanks Mall, Wellworth Fairview and UP Town Center. Manufactures: Corporate men's shoes, military shoes, safety shoes, sport shoes, etc. 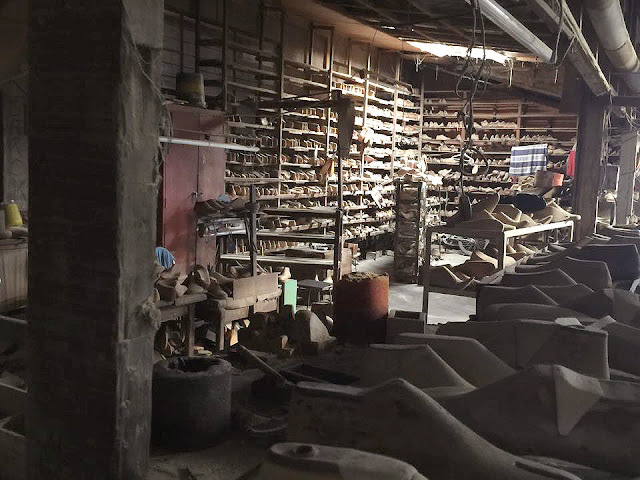 Mr. Elpidio Josef Valentino was a shoemaker before he engaged in shoe manufacturing. One of his aunts who owned a small shoe shop wanted to retire her business. So in 1932, she had her shoe business transferred to Mr. Valentino. His children helped him manage the business. In 1973, Valentino Shoes Inc. was finally registered as a 100% Filipino owned family corporation. The elected officers were Mr. Elpidio Josef Valentino as President, Danilo Bautista Valentino as VP/Gen Manager and Dolora Valentino Dela Paz as Treasurer. It started its operation on the same year with the primary purpose of engaging in manufacturing and selling or otherwise dealing in, at wholesale or retail, such as goods like casual shoes, dress shoes, bowling shoes, safety shoes, miltary shoes and other related transactions as its secondary purpose. Valentino's Shoes are sold at the Marikina Shoe Gallery, the Landmark Makati, Shoe Mart Valenzuela (Fashion Avenue), Marikina Shoe Trade Fair, and Fishermall. Company: Gibson’s Shoe Factory, Inc. The company, which started in 1945, has 6 factories in Concepcion Uno, Marikina. It was established by Gavino Cruz and Ramona Salvador as casual shoemakers. Their daughter, Leonor C. Andres took over the company in 1974, which she renamed Gibson's Shoe Enterprises. It was eventually made into a corporation in 1994 as Gibson's Shoe Factory, Inc. 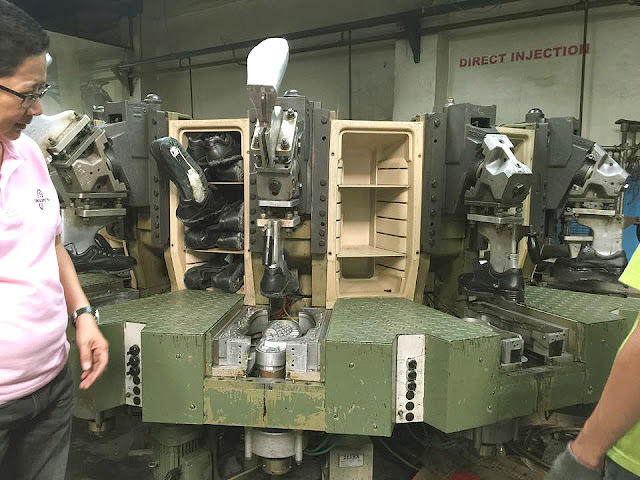 The leading supplier of safety shoes in the Philippines, ventured into manufacturing military shoes, and was eventually accredited by the Ministry of National Defense as one of its suppliers of Goodyear Welted Military Shoes and Direct Molded Soles (DMS) Combat Boots for the Philippine Military personnel. Since then, they've been a major supplier of MILSPECS Tropical Combat Shoes, Hot Weather Combat Boots and Hi-Gloss (Clarino) Dress Shoes for the Armed Forces of the Philippines (AFP). They also supply for Meralco, Philex Mining and Petron (just to name a few). 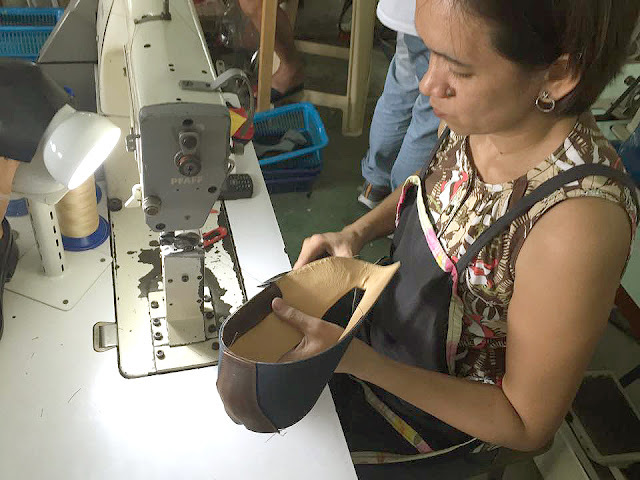 Gibson's Shoe Factory, Inc. also has a Fashion Shoes Line called Antonio Manila, which is sold exclusively in Marikina. PAM Trading offers a widerange of shoe components from heels made out of wood or plastic to metal buckles, plastic buttons, garters and more. You can pay them a visit when you're in the city, as they're a short walk away from the Marikina River Park. 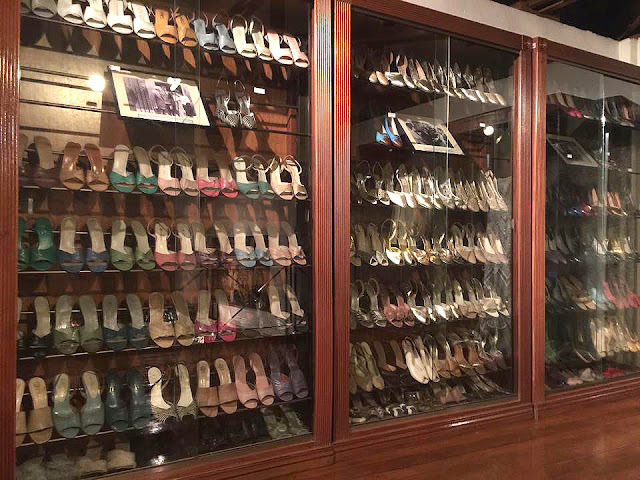 The shoe museum, which helps establish the historical and cultural values of the city's shoe industry, curates mostly Imelda Marcos' shoe collection (former First Lady of the Philippines). Hers alone totals to around 700+ pairs. It was pretty extravagant and surreal seeing the shoes that she used to wear, as she had several in different color shades, materials and styles. The gallery, which also displays footwear from famous personalities (i.e. political figures, ambassadors, celebrities) has an entrance fee of PHP50. The shoe museum is open daily from 8 am to 5 pm. Pattern is created by the Patternmaker [Padronista (male) / Mamamadron (female)]. Pattern is traced by the Manunukat. Shoe upper is made by the Upper Maker (Magaareglo). Shoe is molded by Shoemaker (Zapatero). Shoe is finished, cleaned and inspected by the Finisher (Maglilinis). 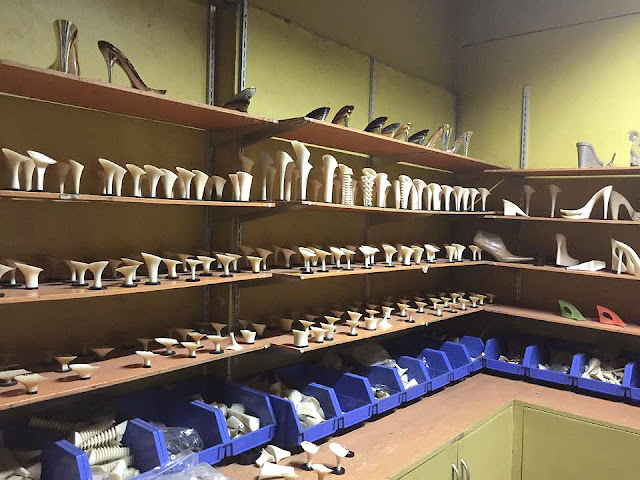 The Cheng Family, who used to venture into shoe manufacturing (ladies sandals and shoes), now focuses on shoe distribution. 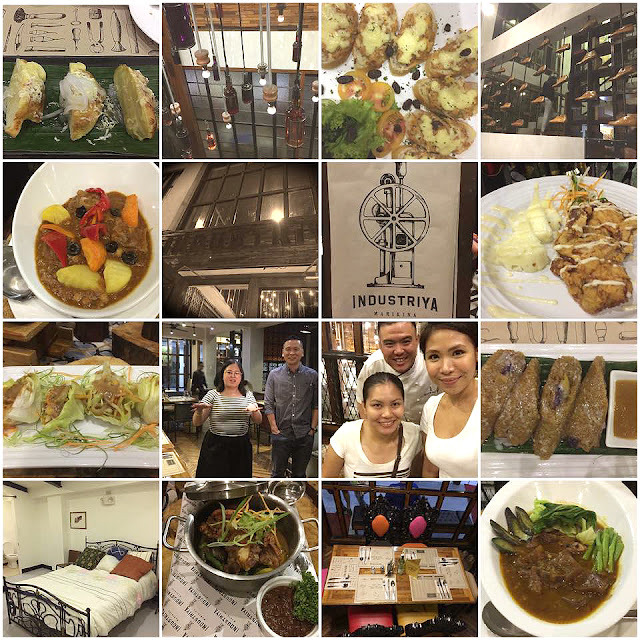 They also turned their snakeskin and frog skin tannery into what is now Industriya Marikina -- a local restaurant that serves Filipino, American (Traditional), Japanese, and Italian cuisines. The restaurant is aesthetically beautiful, as every nook and cranny of the place was well-thought-out and furnished with upcycled items (i.e. chairs covered with leftover leather, couches covered with scrap fabrics, glass windows taken from their old shop/s). Even some of their old machinery and shoe lasts, which can be seen in and out of the 2-floor dining space, were turned into pieces of art. Industriya Marikina also has an events place that can cater up to 250 people, which can be divided into two separate halls (comes with individual Suite Rooms with private restrooms). 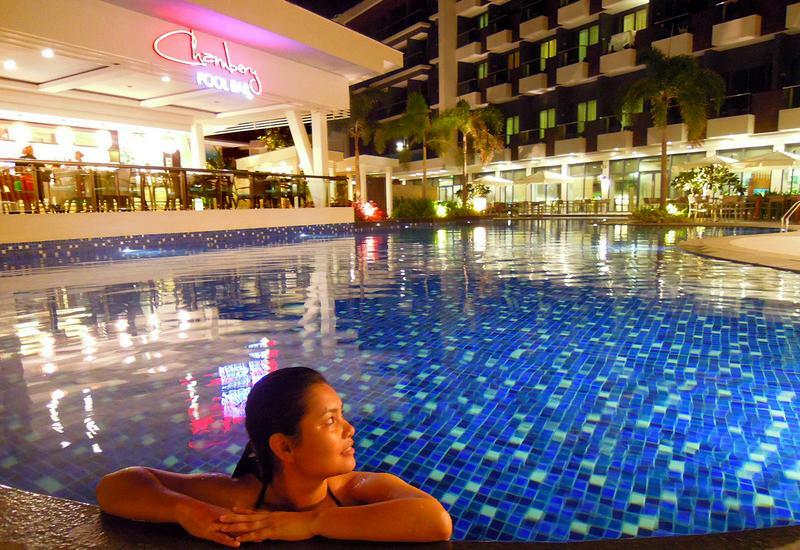 These facilities can certainly accommodate those who may need to freshen up before and during an event. How to reach the restaurant: From the LRT Santolan Station, use the bridge going to the other side of Marcos Highway. When you see the 7-11 Store, look for the small street leading to M.A. Roxas Street. Turn right and walk until you reach the site. It has a big INDUSTRIYA Marikina signage. It is located at the left side, in front of the Iglesia ni Kristo Church. 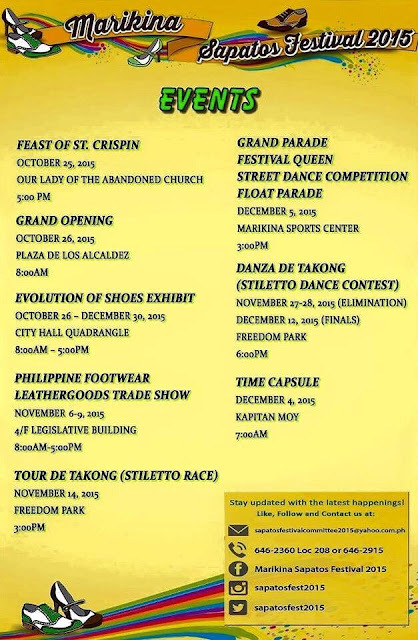 NOTE: The Grand Marikina Tour was sponsored and organized by the Marikina Public Information Office. The day trip was conducted as part of the city's Sapatos Festival 2015. ALL PHOTOS were taken by Ms. Sarah Fernandez.